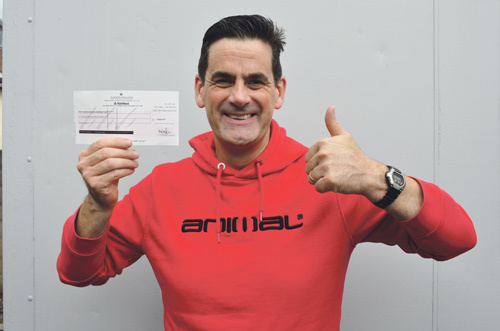 NO wonder pastor Andrew Yelland is smiling - he’s just received a £15,000 boost to his fundraising project for community facilities. Andrew, from Crofts End Church, was handed a cheque from the All Churches Trust towards creating a £1.5m community hub to serve people living in Fishponds, Speedwell and St George. The recent windfall brings the current fund to more than £551,000. Church leaders say the population around the church in Crofts End Road, St George, is expanding rapidly but there are no community facilities in the area to cope with the demand. The ambitious proposals include a building which will incorporate a new church on the first floor and coffee house and community space on the ground floor. There are plans to provide a lunch club for the elderly, a play space for toddlers and rooms for counselling services. Also in the pipeline are more opportunities for community youth work and health and well-being activities, such as fitness classes. The plans will enable the church to re-lease the recently renovated original Mission Hall as a full-time community centre. Building work is expected to start in January. The All Churches Trust is a charity which distributes some of the profits from the Ecclesiastical Insurance Group to worthy projects around the country. Andrew said the church was really grateful to the All Churches Trust. “We thank them for believing in our project and for helping us along the way,” he said. The church is still a long way off its target and leaders are encouraging people to make donations via www.give.net/cecnewbuild NO wonder pastor Andrew Yelland is smiling - he’s just received a £15,000 boost to his fundraising project for community facilities. The recent windfall brings the fund to more than £551,000. Church leaders say the local population is expanding rapidly but there are no community facilities in the area to cope with the demand.